1. 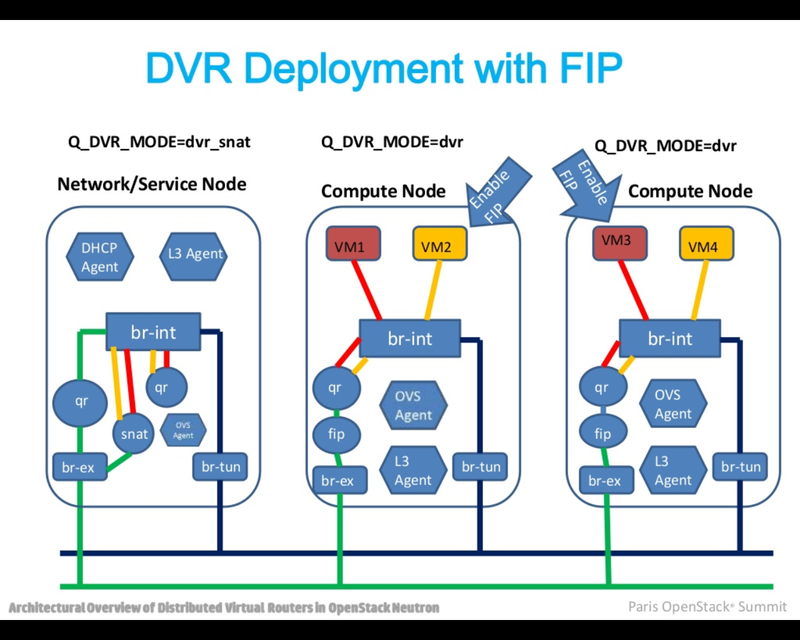 Neutron DVR implements the fip-namespace on every Compute Node where the VMs are running. Thus VMs with FloatingIPs can forward the traffic to the External Network without routing it via Network Node. (North-South Routing). 2. Neutron DVR implements the L3 Routers across the Compute Nodes, so that tenants intra VM communication will occur with Network Node not involved. (East-West Routing). 3. Neutron Distributed Virtual Router provides the legacy SNAT behavior for the default SNAT for all private VMs. SNAT service is not distributed, it is centralized and the service node will host the service. 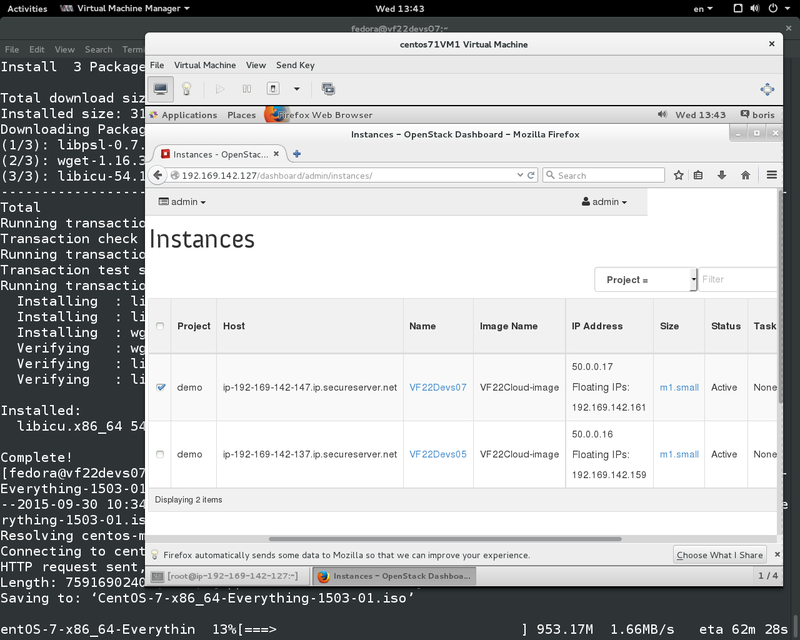 at Fedora 22 KVM Hypervisor. Two libvirt sub-nets were used first “openstackvms” for emulating External && Mgmt Networks 192.169.142.0/24 gateway virbr1 (192.169.142.1) and “vteps” 10.0.0.0/24 to support two VXLAN tunnels between Controller and Compute Nodes. Second libvirt sub-net maybe defined and started same way. You are currently browsing the archives for the rdo kilo dvr category.